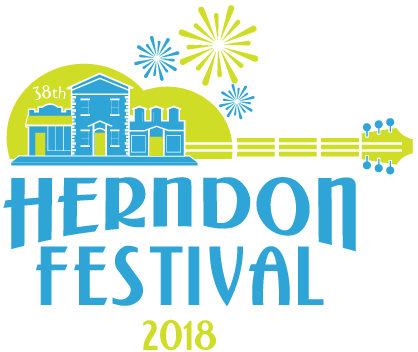 Runners take your mark for the 2018 Herndon Festival 10K and 5K races, which will be held on Sunday, June 3, 2018 at 7:30am. The race course take you through historic downtown Herndon during Herndon Festival weekend. Both the 10K and 5K courses are USATF certified. Awards are presented to the top two finishers from each age group from the 10 & under to 70 & over. **Please note that online regular registration ($35) closes on Friday, June 1 at 12pm. Packet pick-up and in-person regular registration ($35) will be available on Saturday, June 2 from 11am-4pm at the Herndon Community Center. Packet pick-up and race day registration ($45) will be available on Sunday, June 3 from 6:15-7:15am at the Herndon Community Center. Packet pick-up and in-person regular registration ($35) will be available on Saturday, June 2 from 11am-4pm at the Herndon Community Center. Packet pick-up and race day registration ($45) will be avaialble on Sunday, June 3 from 6:15-7:15am.